Attendee registration for Forge Fair 2019 is now open. Your registration includes admittance to the trade show floor and all exhibitor presentations, keynote presentations, complimentary hot buffet lunches, continental breakfasts and receptions. Click here to register as a Forge Fair attendee. Prime booth spaces for North America’s largest forging industry trade show are still available. Click here to view the current floor plan. View the current list of exhibitors. 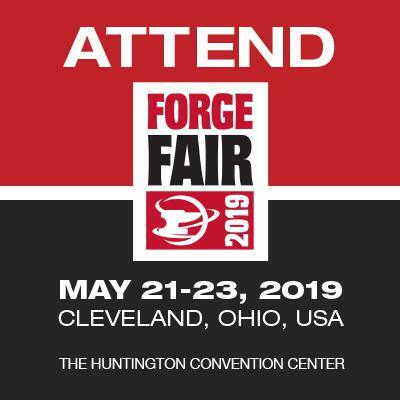 Reserve your Forge Fair 2019 booth today by clicking here. Don’t see a booth space that fits your needs? We have the ability to customize a space that can be tailored to your specifications. Contact Joe Boni, CFO, at (216) 781-6260 or joe@forging.org to discuss your options. For more information about Forge Fair 2019, visit www.forgefair.org.